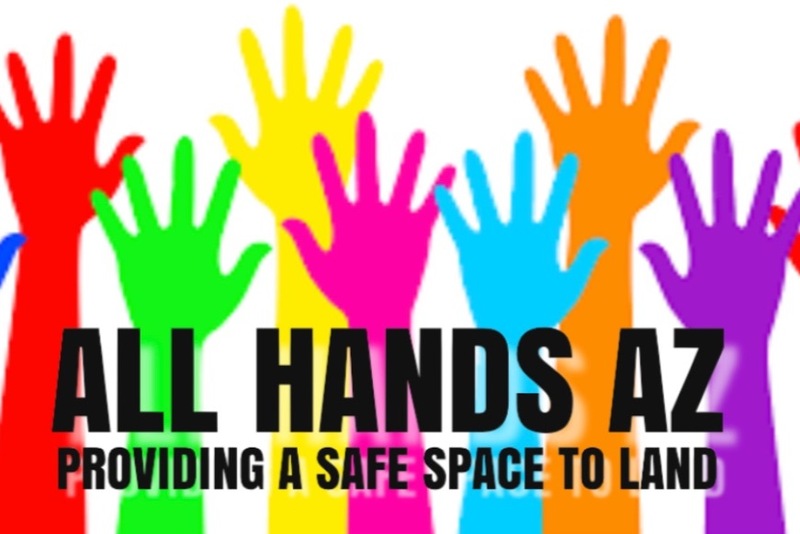 All Hands AZ is a collective of organizers and volunteers who are supporting the asylum seekers and migrants traveling from Central America. These people have been granted temporary asylum by Homeland Security and are being lawfully released to their families in order to pursue their asylum case in front of a judge. They are officially “documented” aliens and we are committed to helping them in their final steps toward their American Dream. Our volunteers have helped by hosting hundreds upon hundreds of people in their homes and we have several hundred volunteers who are welcoming, feeding, clothing, donating, transporting, and medically caring for these people, daily. We are supporting these people for 24-48 hours as they travel to meet with their families, across the country, using our own funds, homes, donations, and gifts. To say that our community is financially strapped is a gross understatement. We have personally invested tens of thousands of dollars to help these people along the final miles of their journey. It is our greatest honor to support and care for these people. We are giving 12-15 hours a day to pour every ounce of energy and love into them to hopefully make the final stretch of their travel memorable, valuable, and beautiful. With your help, we will be able to continue to open doors for our new neighbors as we assist them to the next chapter in their story.